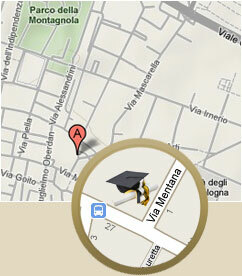 Hotel University Bologna – Home – A superb budget hotel near the university and twin towers in historic Bologna. Our twenty two rooms are available to satisfy all visitors, whether you plan to take a trip to Bologna for business, academic conference or pleasure. Our hotel is perfect for those looking for budget rooms in Bologna, as we represent great value for money whilst maintaining exceptional standards and modern comforts. Single, double, twin and triple rooms can be reserved, all with en suite facilities and air conditioning. See our Rooms & Services page for more information. The hotel is close to the famous Two Towers of Bologna, and many of the beautiful churches that adorn the historic Red City. You won’t be short of Things to Do in Bologna, and there could be no better place to relax at the end of an exciting day than this great value hotel.